Well, I’ve done it – two Friday Freebies in a row. Cool, yes? I think so! I have plans to offer other things besides quick pages. I’m thinking maybe journal cards next. We shall see. Anyway, here is your Friday Freebie for this week. 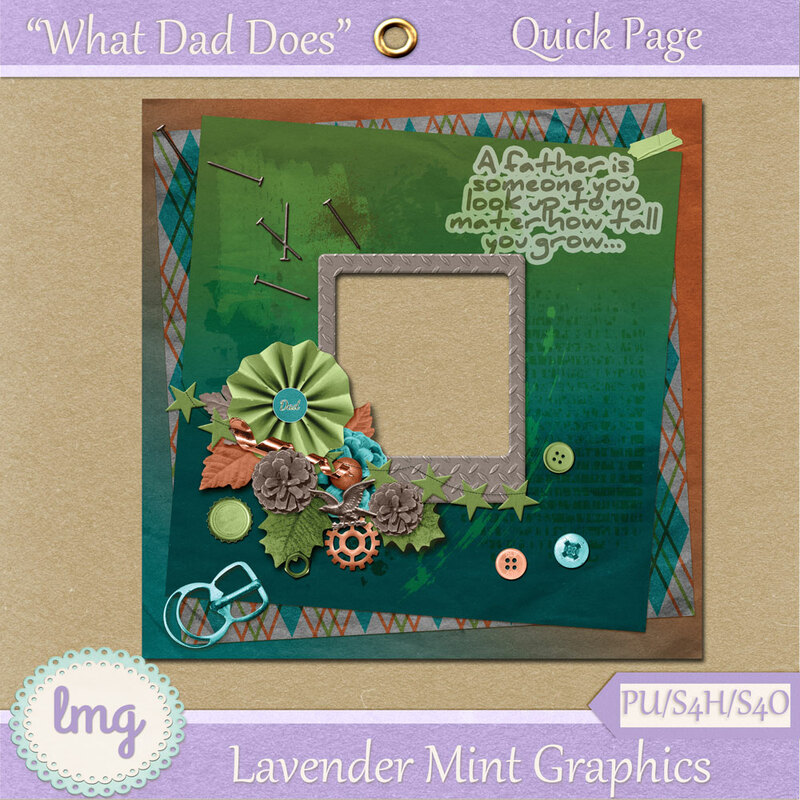 It’s a quick page I did using the “What Dad Does” kit from Nicole at Kandi Pixel Designs. I love all the papers Nicole has in this kit and wish I could showcase them all!! She did a great job creating this kit and it can be used for just about all things male. Visit her blog and stores to see more of her fabulous work.